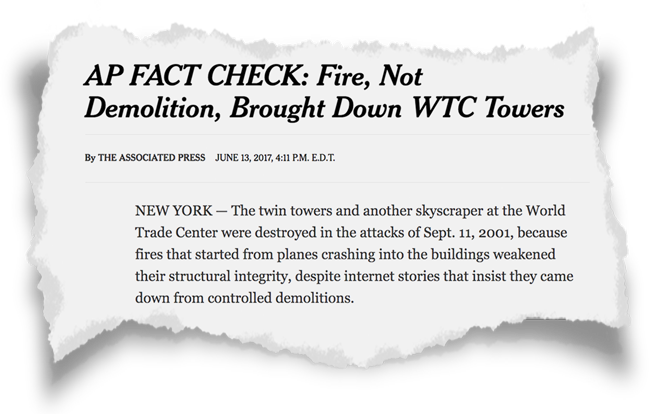 While the AP’s brazen dismissal of the scientific article was typical of mainstream reporting, the most shameless violation of journalistic standards appears in the story’s title and opening sentence, which stated the official explanation of the World Trade Center’s destruction as fact — not even bothering to attribute the claim to any source. You can help us fight back against the AP’s Orwellian assertion of truth by sharing our Facebook post as well as the original Europhysics News feature, which has now been read more than 550,000 times. We also need your help to fight this battle in the months ahead. 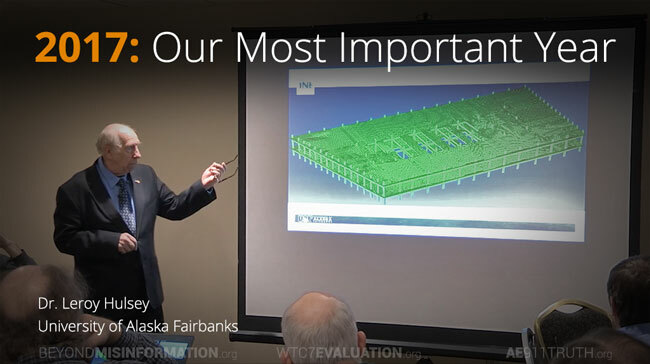 The upcoming release of the WTC 7 study at the University of Alaska Fairbanks promises to receive exponentially more attention than last year’s Europhysics News article, if AE911Truth has the capacity to promote it effectively. 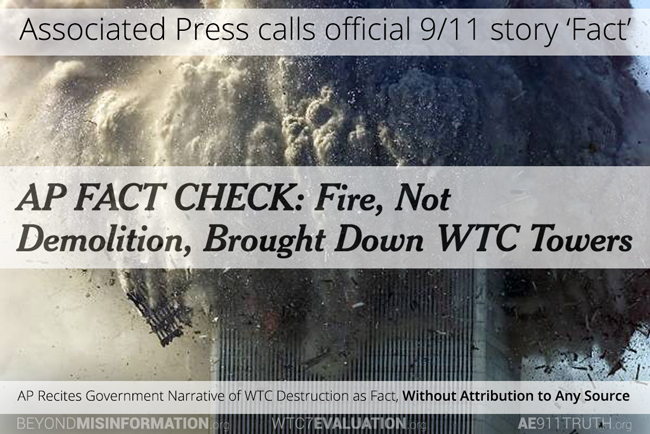 Organizations like The New York Times and the AP have delighted in refuting the mistaken claim made in some articles that the Europhysics News feature was a “new forensic investigation.” But that line of attack won’t be possible when the WTC 7 study is published in August. Nor will they find it easy to smear Dr. Leroy Hulsey as a “vocal Sept. 11 conspiracy theorist.” Last summer’s report on Alaska Public Radio is the kind of neutral-to-positive coverage we can expect more of when we are fully equipped to promote the study. 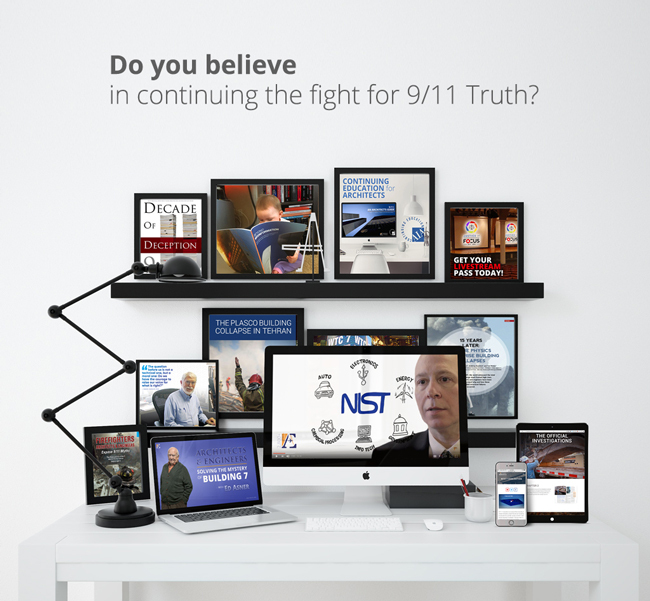 Please make it possible for us to fight the upcoming battle by becoming a sustaining member of AE911Truth before the end of our 2017 Membership Drive this Sunday. We need 350 new members over the next five days to be at full strength for the rest of the year. Now is the perfect time to join, because the annual value of every new membership through Sunday, June 18, will be matched by a generous donor.